The steps on how to grow Roma tomatoes are pretty much the same as planting any tomato variety. 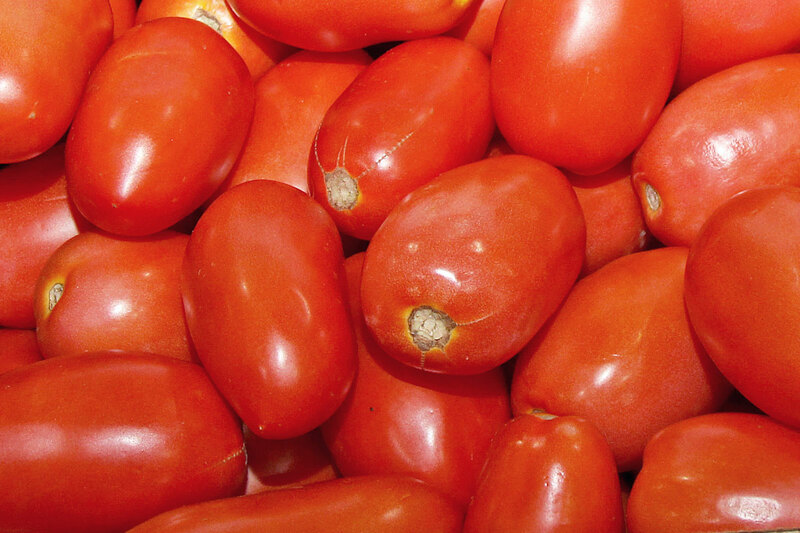 Roma tomatoes are those pear shaped tomatoes that are a great choice for making tomato sauces. The plants do not exceed four inches in height, which makes it a great choice for those who have limited spaces in their garden. But despite it being a small plant, it can produce good amount of fruits. With its dense and meaty flesh, the Roma tomatoes are ideal for processing tomato pastes and sauces. It is also known for having low moisture content and having only a few seeds. Their colors range from orange to pink to deep red. Among its popular varieties are the San Marzano and La Roma. The new varieties of the Roma tomatoes are very flavorful and can make any dish tastier. Here are the steps on how to grow Roma tomatoes. Regardless of the type of tomatoes that you need to grow, it is important that you look for a pot that is about 14 inches in diameter. This can help to ensure success in planting Roma tomatoes in pots. Pots that are more than 20 inches in diameter can also help the plant to grow even better. A five-gallon bucket that has holes punched at the bottom can also work very well. All kinds of vegetable plants have roots that will go deep down the soil to search for nutrients and water. Therefore, when it comes to growing Roma tomatoes, you should plant it in a large and deep pot. This is to allow for the tomato plant to have enough room to grow. Although the ceramic pots or terra cotta are more expensive and heavier than the plastic varieties, they can help to counteract any of the top heaviness that could occur as the mature plant starts to bear fruits. You can grow Roma tomatoes from seeds indoor about two months prior to the last frost date in your area. You can also purchase seedlings from any of your local garden supplies store. If you buy the seedlings, you need to transplant them after the danger of frost is already over. The Roma tomatoes should have the same condition as that of other tomato varieties. They should be planted in well-drained soil that is rich in organic matter, has plenty of water and receive enough sunlight. One of the most important things to keep in mind when learning how to grow Roma tomatoes is to not use a garden soil that may have harmful pests and bacteria in them that could damage your tomato plants. These types of soil are highly susceptible to diseases. You can also choose all-purpose potting soil that provides a great base to grow Roma tomatoes. You can also mix the soil with equal parts of sphagnum peat moss, parts perlite and compost. This can help to provide more nutrition and improve drainage. Make sure that all of the compost has been heated into high temperature to kill any harmful organisms. 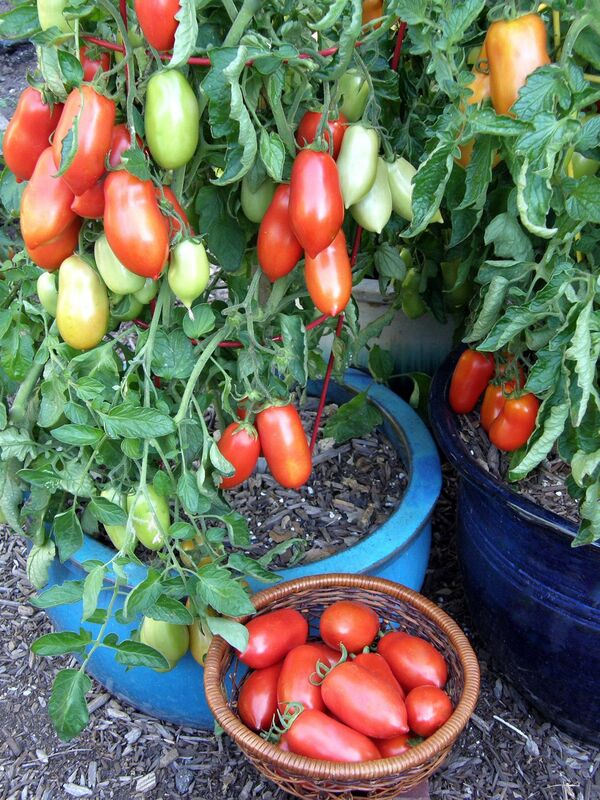 When growing Roma tomatoes in pots, make sure to plant them about 14 to 20 inches apart from each other. Dig a hole that’s deep enough to cover about two thirds of the tomato stem. This can help to encourage more growth of the roots. If you grow the tomatoes through seeds, sow two to three seeds to about 1/4 inch deep of the soil of each pot. Cover the soil and gently pat down. If you choose to grow Roma tomatoes through seedlings, then fill your pot with one third full of the potting mix you have prepared. Cover the bottom of the pot with soil for up to six to eight inches. Place the tomato plant in the container. Gently push the stem into the existing soil, enough to give a base for support. Continue pouring soil around the tomato plant. Fill the surrounding stem of the tomato plant with soil as you go, while making sure that it will remain fixed securely in the pot and will not wiggle around. As a general rule, do not plant until after the last frost date of your area. If the chilly weather at night will threaten, then cover your pots of plants with frost blanket and swaddle them with the blankets, burlap and straw for added protection. Put a support around each of the tomato plant. This should be done early on as doing it later could disturb the grown roots. 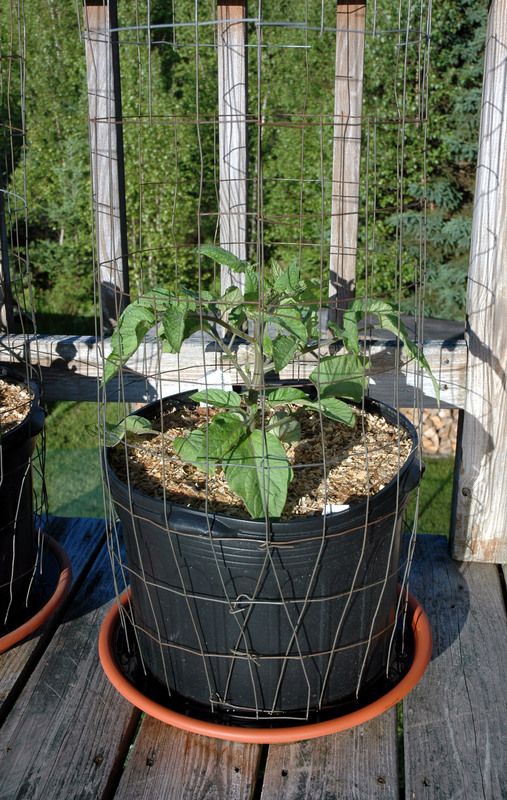 You can create a traditional tomato cage, string trellis, tall stake or a sturdy cage to accommodate indeterminate number of tomatoes. To make your own cage, simply bend a hog wire or metal fencing in a cylindrical shape and use a wire to connect both ends. You can insert it in the soil or slip it on the outside of the pot. Make sure to secure it firmly into the soil. When you grow Roma tomatoes, make sure that you keep the soil at least an inch below the rim of the pot so that you can add one layer of mulch in order to help keep the soil to stay moist. You can make use of traditional mulch, such as shredded bark, straw, chopped leaves and newspapers. Paper decomposes quickly enough most especially if you are from the hottest region, so you need to refresh the layer when needed during the season of growing. 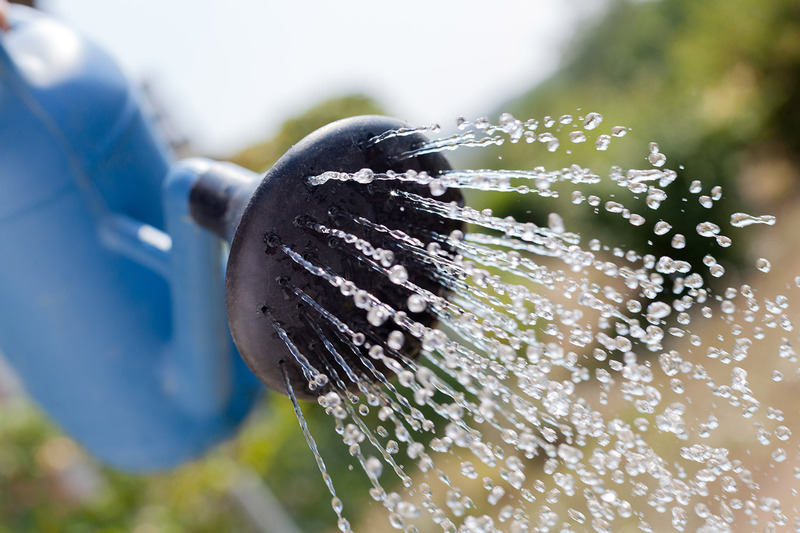 Proper watering is an important key to the overall success in growing Roma tomatoes in pots. You should ensure that the soil is consistently moist, although not saturated. You can make use of a finger test to check if your tomato plant will need more water. If the top inch of the soil is dry if you push your finger to it, then it is time that you water the plant. You can also consider placing a saucer underneath each pot in order to catch the water that will run through the soil. That way, the plants will be able to absorb the extra moisture during the hot summer months. Drip irrigation system is also recommended as it helps to reduce the time that you need to spend in watering your plants. If you are only tending a few tomato plants, then you can use some of your time to check the plants out and keep an eye for any problems. If you will not be around for some days, then ask someone to do the watering. Feeding your plants continuously with fertilizer helps the plant to get off to a good start. There are lots of fertilizers that you can buy from your local garden supplies store. Do this every week or so all throughout the entire growing season. This might seem a lot but every watering will actually wash some nutrients away. You can start fertilizing in the sixth week. You can apply water-soluble fertilizers each morning after you water. Refer to the label directions regarding proper application. Harvest your Roma tomatoes one by one as soon as they develop a deep red color. The fruits must be entirely red and have some few traces of green. Ripe tomatoes can be easily snipped or plucked off the branches. As you see, learning how to grow Roma tomatoes is just easy. The key to the successful growth of the plant is to water and feed it well.